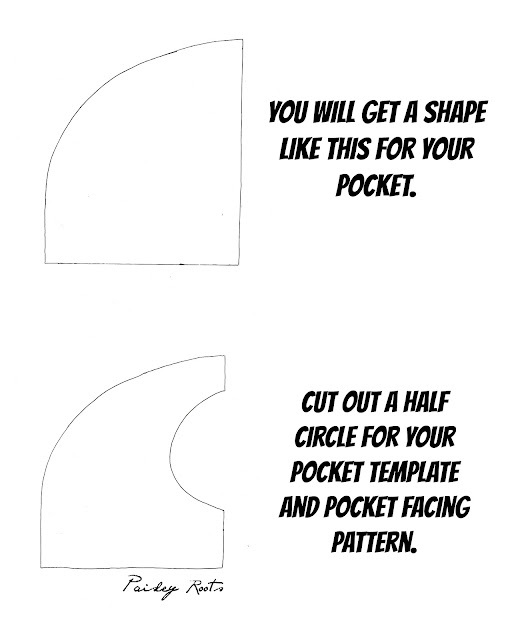 So I made myself a Studio Ghibli Hoodie and I got asked how I hacked the pattern to make my pockets. 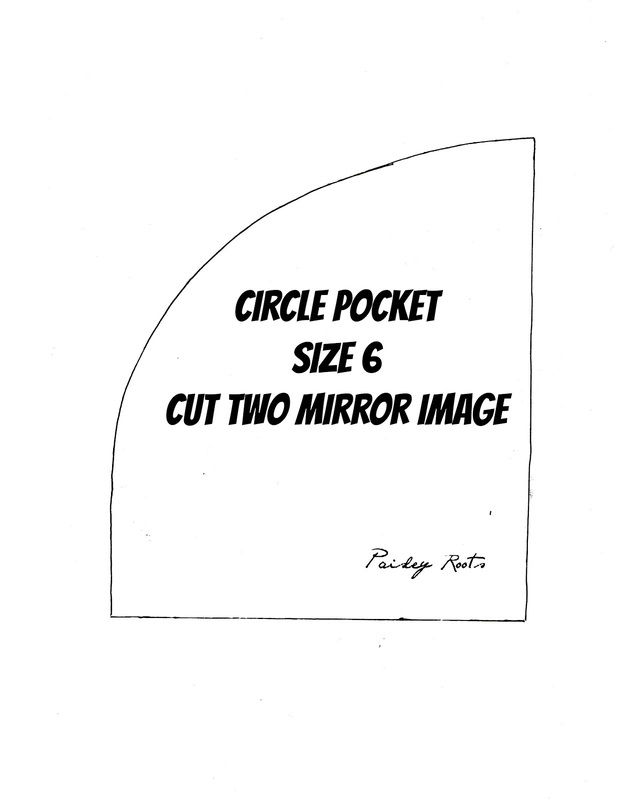 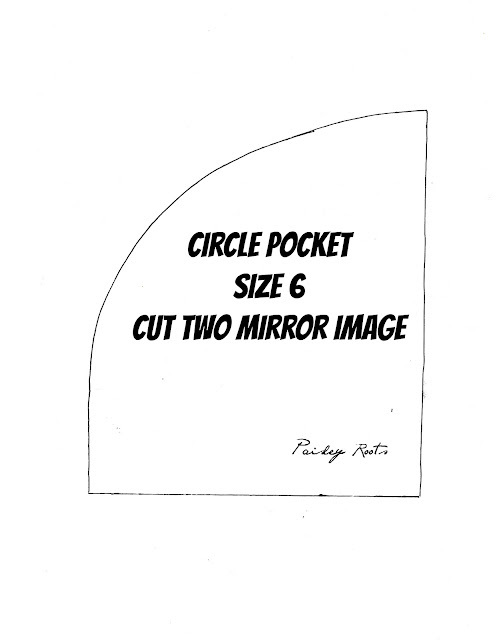 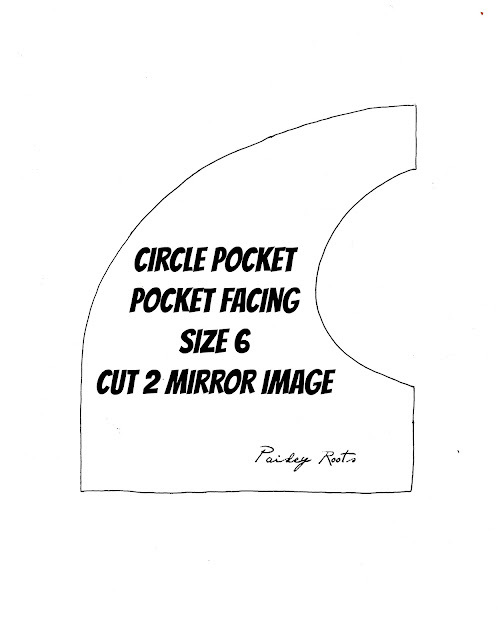 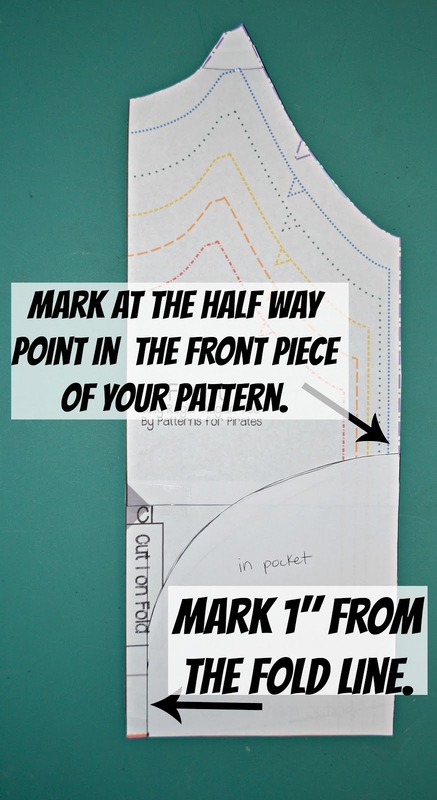 I wing a lot of things, so this will not be completely precise, but it gets the job done and I do have the size 6 (children) pocket and pocket facing pattern at the end of the post. 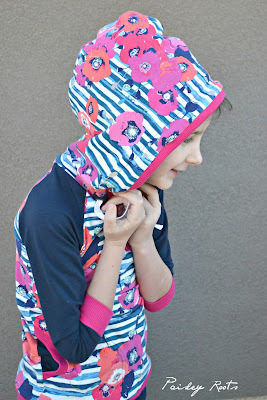 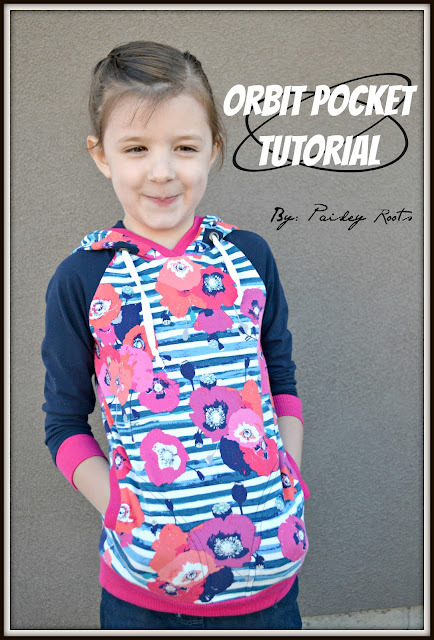 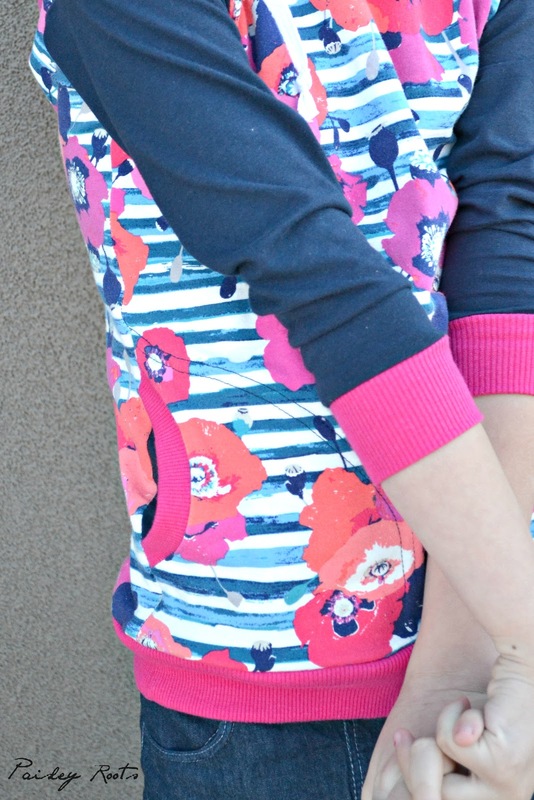 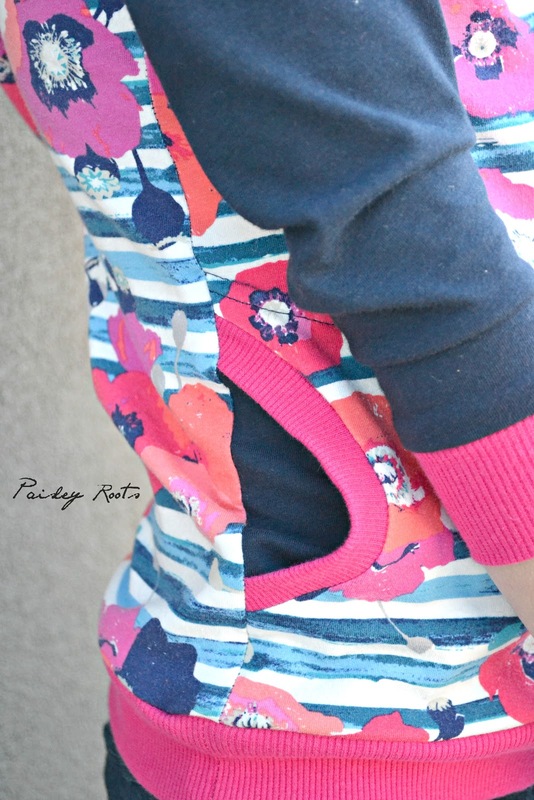 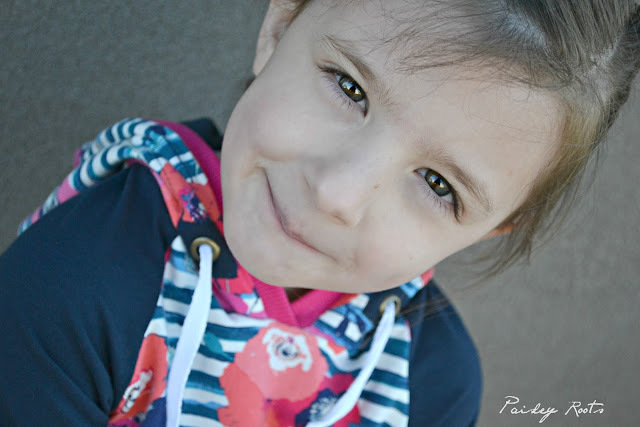 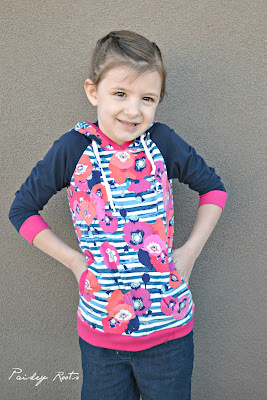 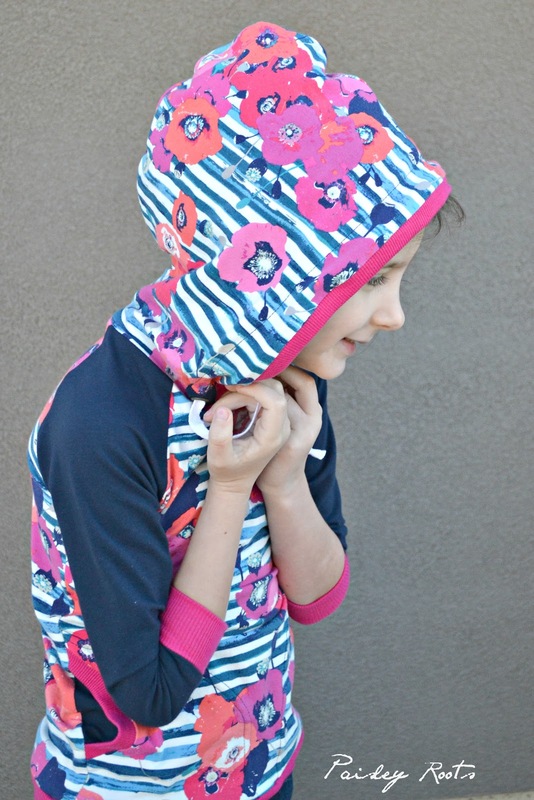 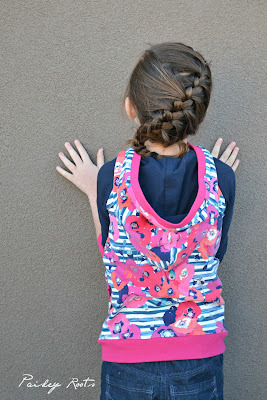 I used Patterns for Pirates Jolly Roger Raglan shirt for this tutorial (which I modified by also adding the hood of the Yo Ho Henley shirt) but you can use this with any shirt or hoodie pattern. 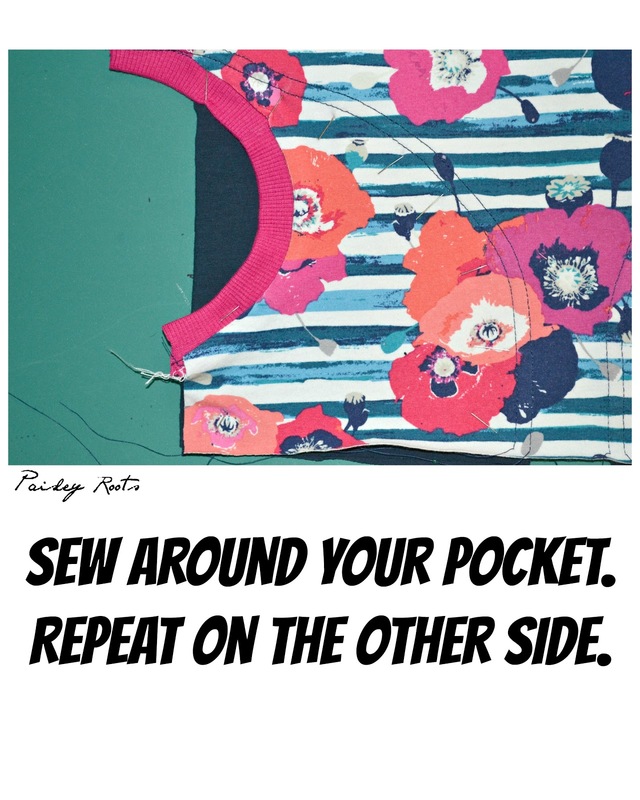 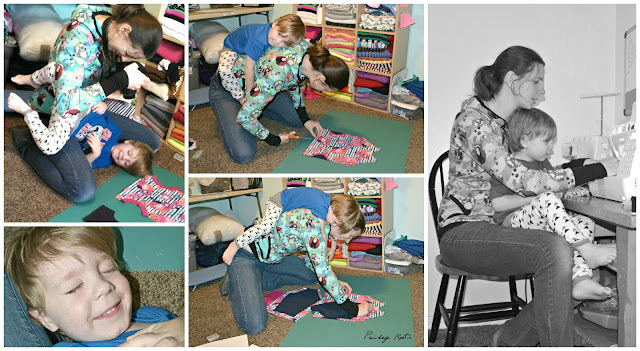 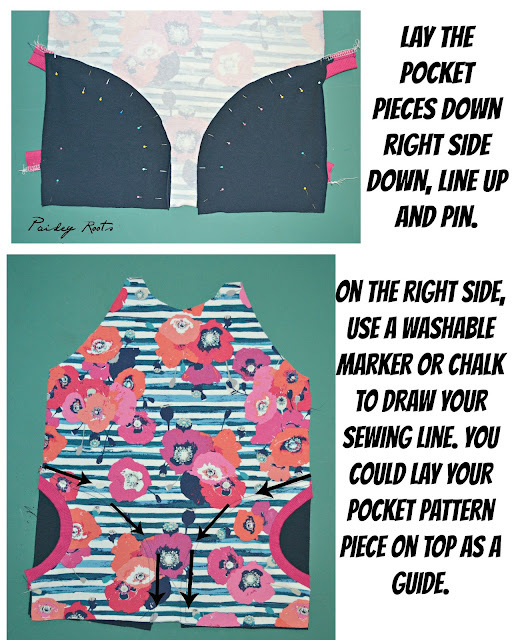 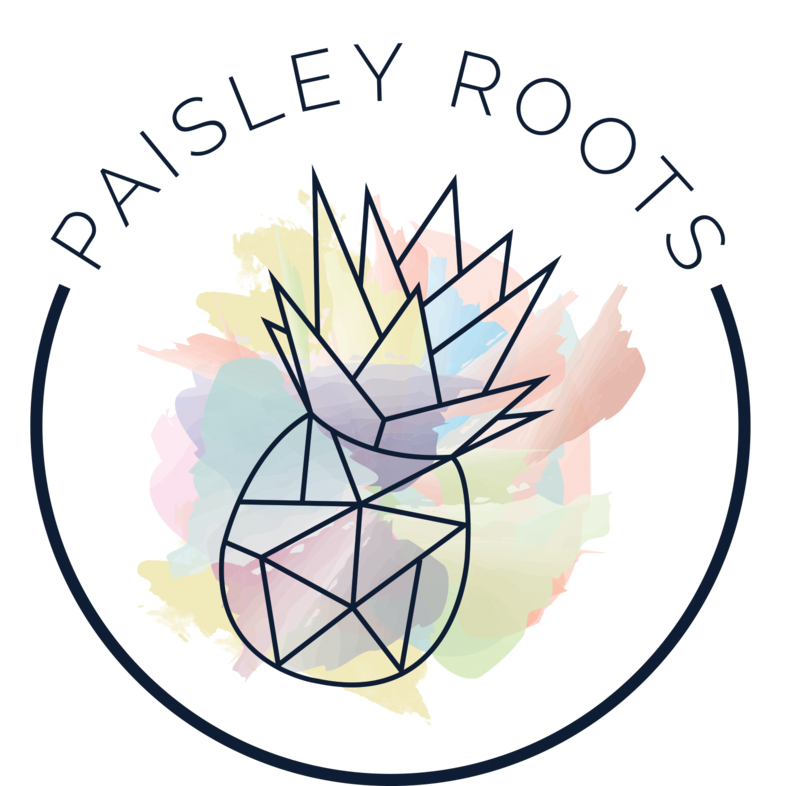 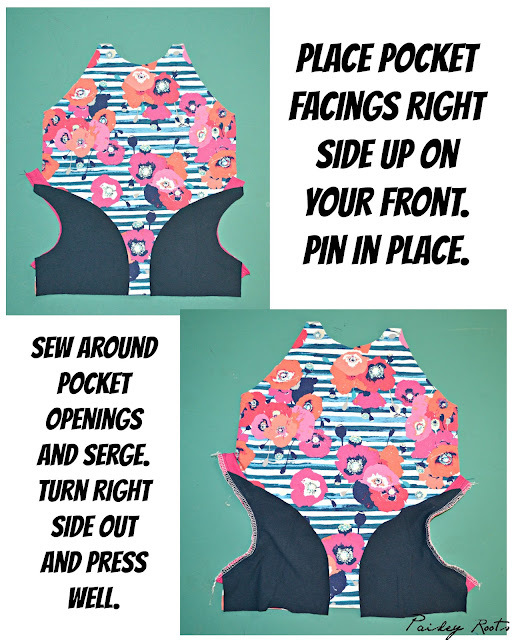 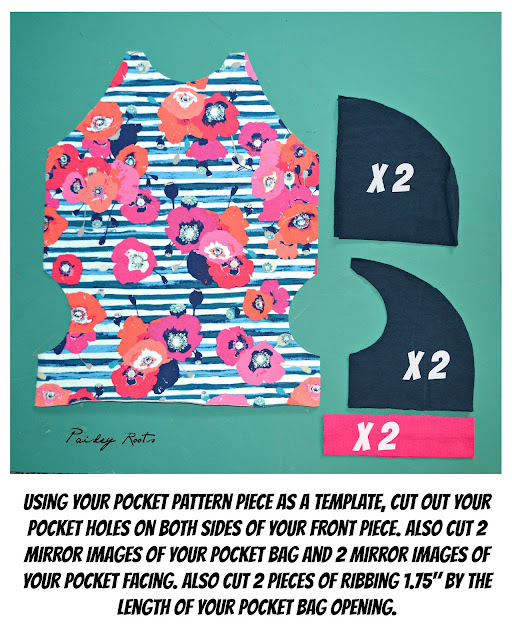 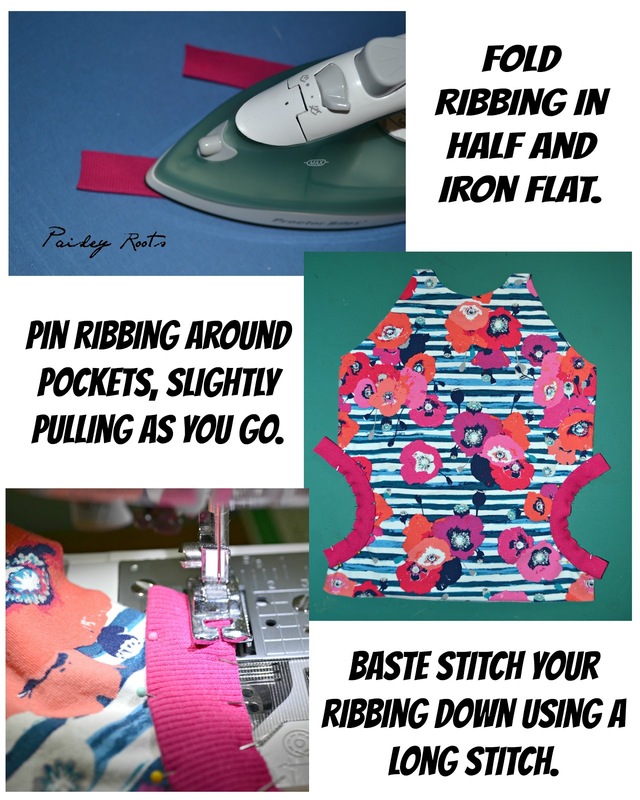 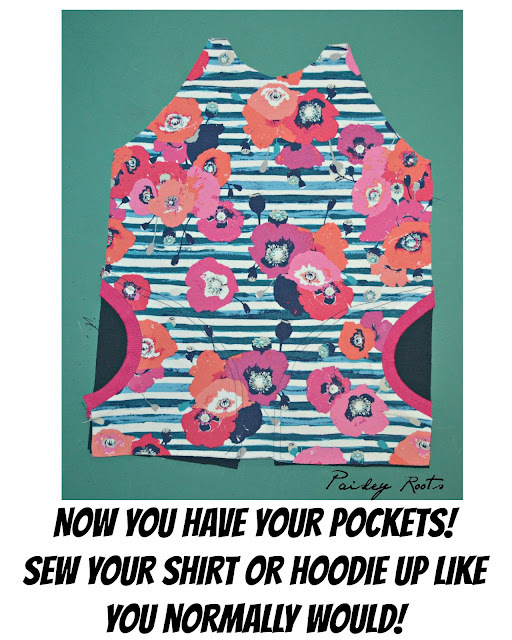 So grab your front pattern piece and lets get started! 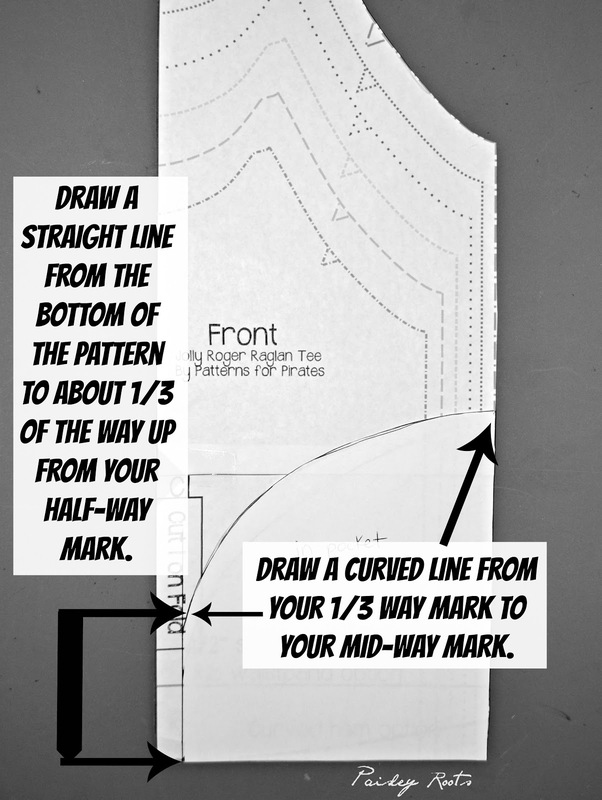 For bigger sizing you will get a taller shape. 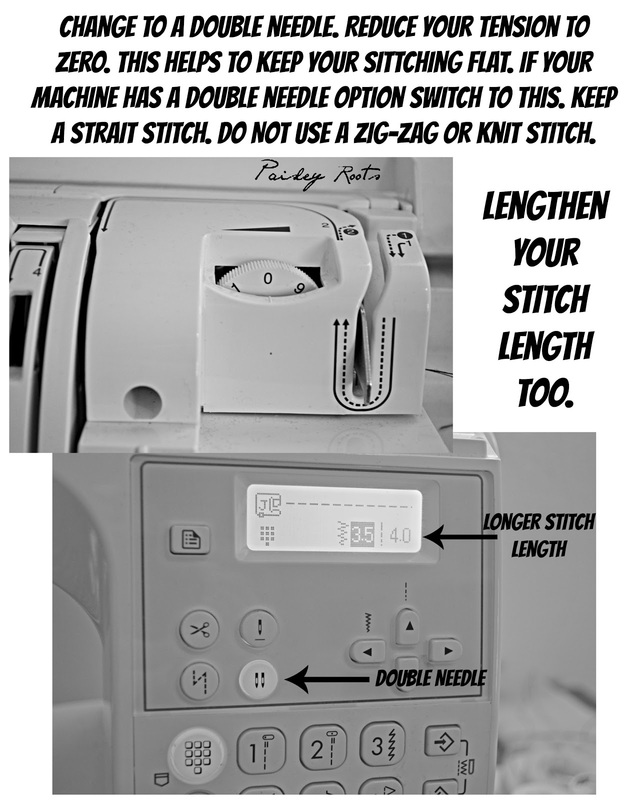 If you don't have a stretch stitch, use your zig-zag stitch and ignore all this stuff. Thanks for the tutorial! Love this pocket option. You're behind the scenes photos are the best!